These handmade caramels are an update of a classic candy. 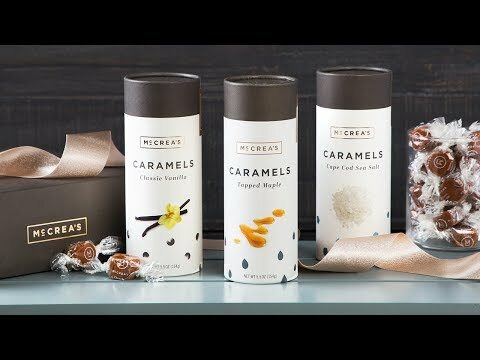 Each rich, smooth confection is made with a combination of old-school methods and a few new-fangled techniques—and a dash of interesting flavors sprinkled in. 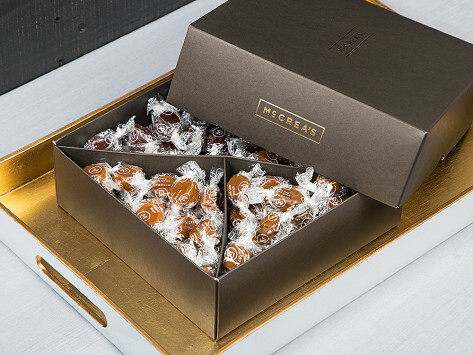 This box comes perfectly presented for gifting (or treating yourself). Dimensions: Small Box: 5.65" x 5.5" x 2.75"; Large Box: 8.5" x 8.5" x 3"
Weight: Small: 0.75 lb. ; Large: 1.4 lbs. I love these caramels! Of course I like a few better than others and I look forward to being able to buy just one flavor or another. These caramels are delicious. I extremely liked the chocolate sea salt ones. This candy is delicious, a little pricey but will make a nice gift.